Common people... Story after story marked by scandal, stumble, and intrigue. Who are these people? They’re the people of the Bible. And they’re us. We find our stories in theirs. We find our hope where they found theirs. In the hands of an uncommon God. In the midst of them all... hovering over them all... is the hero of it all: God. Maker. Shaper. Rescuer of sinking hearts. God. Passing out high callings, second chances, and moral compasses to all comers and takers. 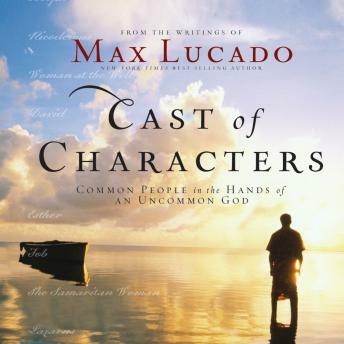 In this gathering of inspiring stories from his numerous best-selling books, master storyteller Max Lucado revisits some of his favorite biblical characters—all of whom were very human and imperfect, just like us. If God can find a place for them . . . He just might have a place for us too.